We have just received guidance that this retreat will be different from any of our other Crestone Retreats. It will be a Nearly Silent Retreat. What does this mean? 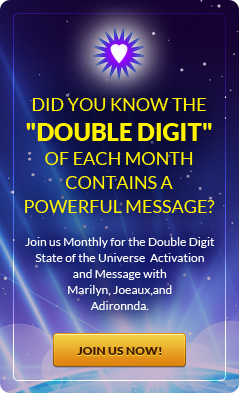 There will be vast periods of silence, peace, stillness, all helping you receive your own guidance under the gentle guidance of Adironnda & Company and Marilyn Harper. This life changing retreat is still called “Your Next Step” because that is truly what it is. How many times have you been told to listen to your guidance. This Personal Journey Retreat will definitely help. We will still attend all the joyous, spiritual places in Crestone and even discover a few new ones. There will be times to share, talk, laugh, dance and play as that is all a part of listening to the stillness as well. Experience the sacred (and commercially untouched) energy of Crestone, Colorado for a holistic retreat designed specifically to move you forward in your journey. Spend an extra long weekend, Wednesday evening through Monday morning, with Marilyn Harper, Adironnda & Company in Crestone within the Sangre De Cristo mountains. This spiritual Nearly Silent retreat will provide you with specifically whatever it is you need at this point in your life. 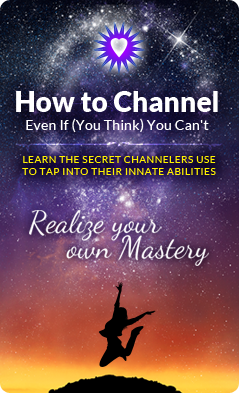 The selected activities connect with the energy, release what has been holding you back in your own personal journey, and gently allow you to open up to your own Divinity. During the retreat we will venture to a wide variety of spiritual locations. The tiny town of Crestone sits at the foot of the Rocky Mountains in the High Desert within the Sangre De Cristo (blood of Christ) Mountain range. 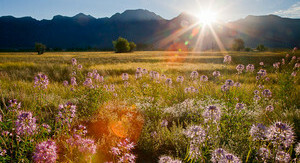 Many spiritual organizations throughout the planet have built their sanctuaries in Crestone. Fun Fact: Crestone is also the location of more documented UFO sightings than anywhere else in the country. Investment in your next step: $1222/person based on double or triple occupancy. We have several bedrooms, most with twin beds, a couple with queen beds. Arrival – by 6 PM Wednesday, October 12, 2016. Dinner will be served around 6:30 PM and an organized activity will follow. Wednesday, Thursday, Friday, Saturday, Sunday and Monday Morning following Breakfast. Thursday-Sunday will include breakfast, lunch and dinner with activities throughout the day and evening. There is free time scheduled daily, too. Crestone is host to several well known channels, massage therapists and other spiritual workers and we invite you to experience any of these. There are also amazing hikes within walking distance of the retreat. Joeaux will more than likely take a group up to the Meadow at 12,000 Feet if you like. If flying in be sure your flight arrives in time to drive 4 hours from Denver or 3 hours from Colorado Springs. And be sure your flight departs on Monday later in the afternoon to allow time to travel back to airport. If you are flying, we try to coordinate people so you can all share the car rental down from Denver or Colorado Springs. You can fly into Alamosa, it is just an hour away. NOTE: If you would like to stay a day after the retreat, or arrive a day early, please let us know. Additional costs per night can be quoted. Departure – Closing Circle is late Sunday night, so please plan to leave after breakfast on Monday October 17. Those who must leave early Monday will be able to make flights from Denver after noon or 1:00 PM, etc.. We will help to arrange car pooling (as best we can) to and from the airport. You can fly into Denver (4 hour drive), Colorado Springs (3 hour drive) or Alamosa (45 minute). The earlier you book, the better chance you’ll have of being connected with another person for car pooling. Fee includes: lodging, all meals (except 1, less than $20/person) *Reservations are first come, first served. A minimum of $399.99 deposit is required at the time of your reservation. The balance is due 30 days prior to arrival. 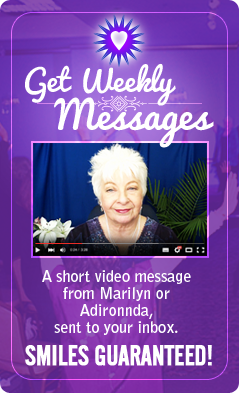 Please include your name, address, email address, and the best telephone number to reach you. Cancellation Policy: Retreat must be paid in full due 60 days prior to arrival. If cancellation is necessary between 60 – 30 days prior to arrival 1/2 payment will be refunded. If cancellation is necessary less than 30 days prior to event, we reserve the right to offer no refund unless your spot is filled with another participant. If cancellation is prior to 60 days from arrival all will be refunded except the initial $111 deposit (reservation fee). We know sometimes emergencies arise, please contact us for cancellation arrangements.